In June of 2013, five friends decided to go to Arizona and take some pictures of space when they attached their GoPro recorder to a weather balloon and sent it to heaven. This was the last thing they saw for two years and, when it came back, it was worth the wait, as it provided some amazing shots of the Earth. University students and friends Bryan Chan, Ashish Goel, Ved Chirayath, Paul Tarantino and Tyler Reid decided to build a device and calculate the trajectory of it, then they registered it with the FAA so that it would not interfere with any aircraft that might be passing by. The globe carried a GoPro Hero3, a Sony camcorder and a Samsung Galaxy Note II smartphone, with both cameras recording the images and the smartphone taking the pictures. Finally they decided to launch the balloon in the desert a few kilometers from the city of Tuba. The group wanted to track the progress of their balloon through a GPS that was on a smartphone; however, they lost contact with the device and the balloon went out of reach of the cell phone tower. This left them wondering for many months if they would recover their cameras. The group waited and waited and then gave up the idea of ​​seeing it again. However, two years later they came to see the results of their project when they received a call from a hiker. The hiker had been in Arizona and had found a box with the names of the group, about 80 kilometers from where they originally launched the balloon. 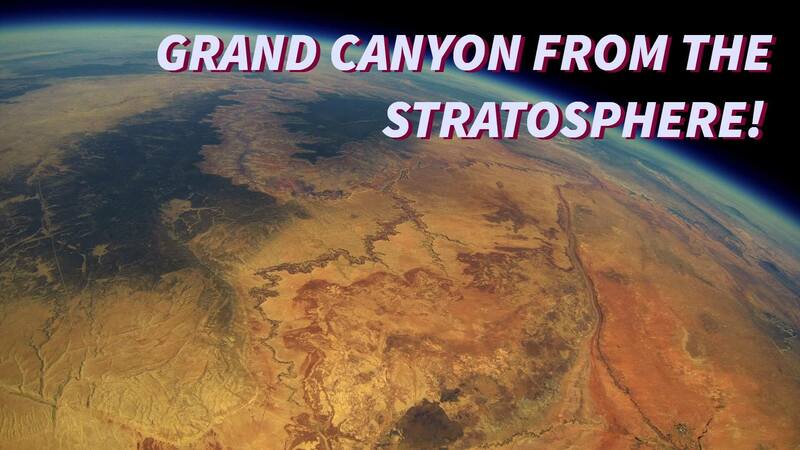 The team had hoped that the balloon would have captured what they thought would be the taking of money, the Grand Canyon photographed from the stratosphere. They processed the data taken from the device that had been connected to the balloon and discovered that they had reached 98, 664 feet and had a flight time of 1 hour and 38 minutes in total.